When they met for the first time, Maya and Kevin found that they had nothing in common except for their love of food and traveling. Fast forward six years later, the couple decided to tie the knot and continued to eat and roam the globe as husband and wife. “We’ve traveled together quite extensively since we’ve been together. Kevin proposed to me last year when we were in Paris for our two weeks Europe trip,” said Maya. 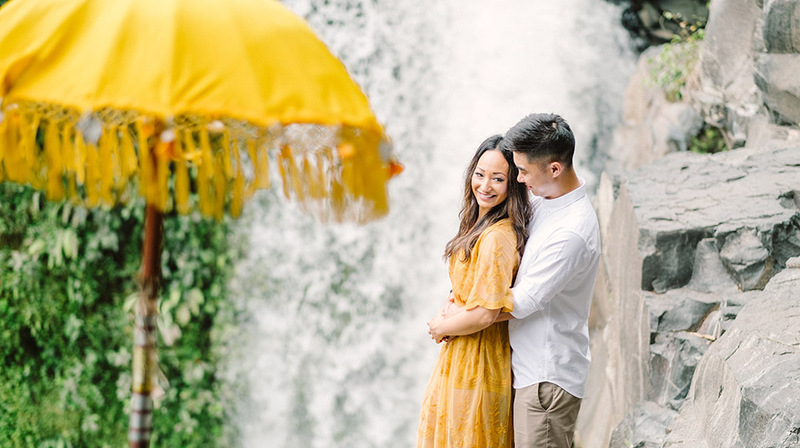 The San Francisco based couple were truly looking forward to explore Bali and Lombok in this trip and used the opportunity to have a Ubud engagement photography session before they walk down the aisle. 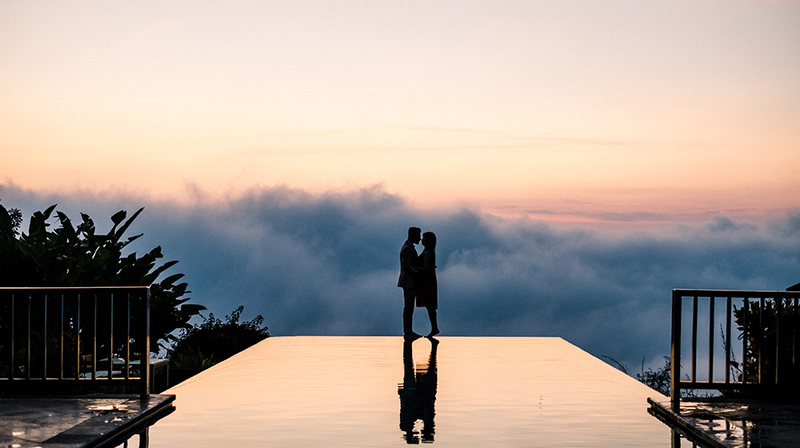 Their wanderlust was so acute that they decided to take two weeks off in the middle of wedding planning to travel. 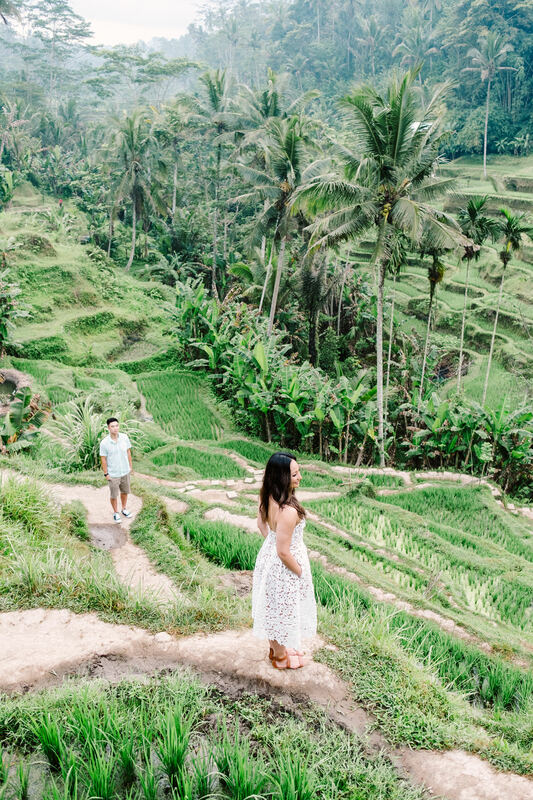 Maya admitted her obsession for rice field and we took them to Tegalalang Rice Terrace for an early morning photoshoot. The sky was a little bit cloudy but we managed to get a couple of good shots of the lovely couple. 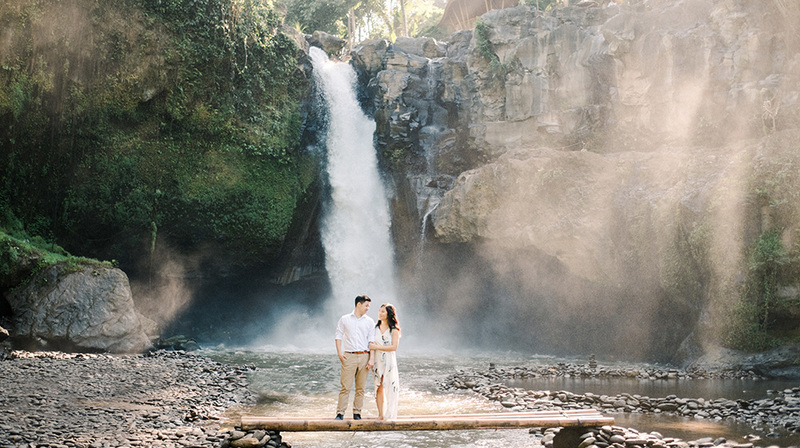 We also took some really beautiful Ubud engagement photographs of the couple at the famous Blangsinga Waterfall. 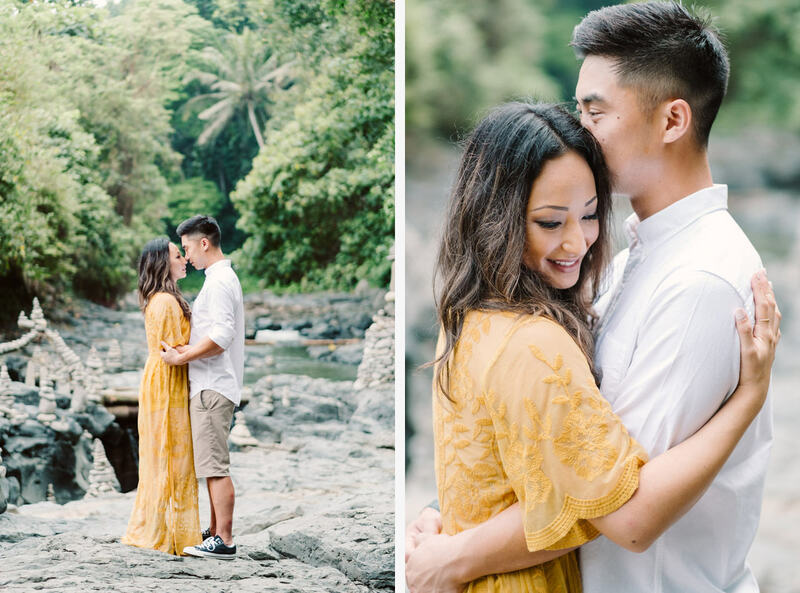 Maya was a vision in her graceful yellow dress and she matched Kevin’s resort wear attire perfectly. 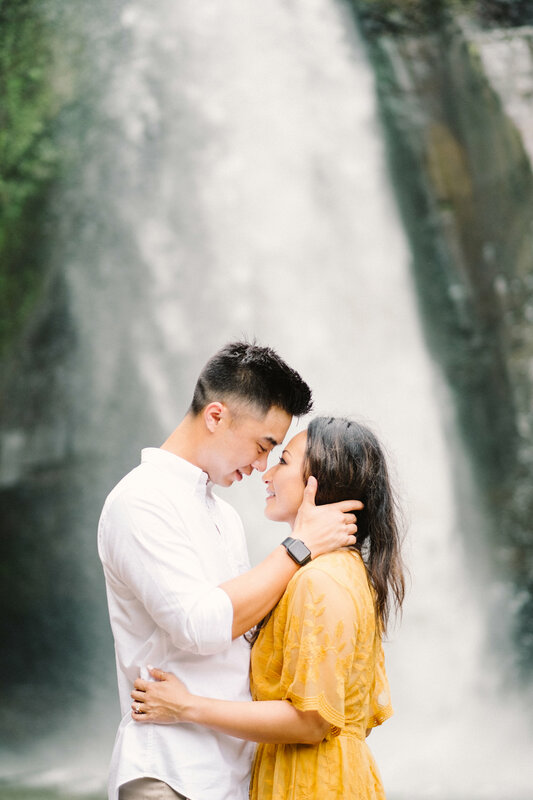 The couple’s chemistry and strong connection was visible in each and every frame that we took of them. 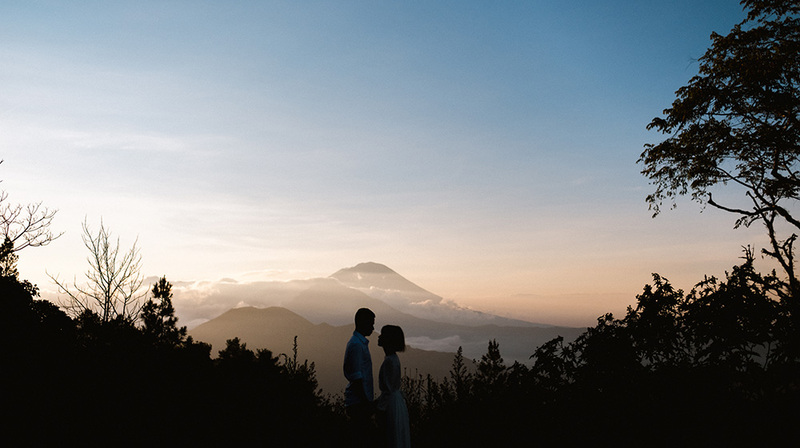 We hope these Ubud engagement photography would be a reminder of their stolen holiday in Bali.